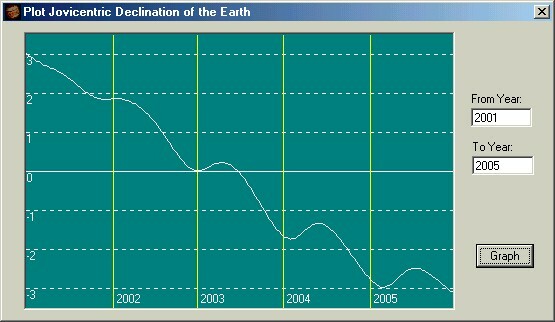 To display the Jovicentric declination of the Earth (sometimes referred to as "D sub e") for any period of years simply put the beginning and ending years in the appropriate boxes and press the Graph button. Pass the mouse cursor over the graph will reveal specific times and levels. For explanation of D sub e click here.